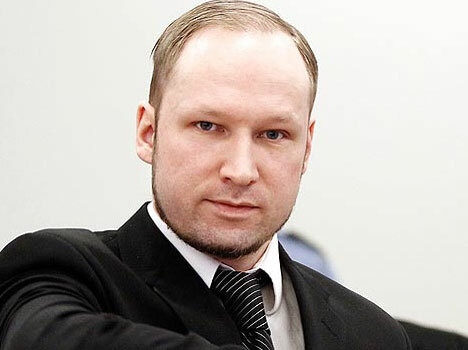 Norwegian prison authorities Tuesday ruled that convicted right-wing terrorist Anders Behring Breivik would not be granted leave to attend his mother's funeral, his lawyer said, DPA reported. Breivik, 34, was in August sentenced to 21 years in prison for twin bomb and shooting attacks in 2011 that killed 77 people. He is held in solitary confinement under strict conditions at Ila Prison near Oslo. His mother died Friday, at age 66, after suffering from ill health for some time. She had, however, visited Breivik at Ila a few weeks before she died, her lawyer said. Breivik's attorney Tord Jordet said in an email to Norwegian media that Norwegian Correctional Services have ruled that Breivik would continue to be held under strict conditions at Ila, and rejected Brevik's request to be allowed to attend his mother's funeral. It was not known when the funeral would be held. Breivik's mother did not testify at his trial. The Norwegian Correctional Services said Breivik should remain under high security due to the potential danger of him attempting to escape prison or committing new crimes.